Is Your Collection Museum Worthy? I’ve long compared individual collectors and their collections to the work of professional curators managing museum collections, so I enjoy hearing how “real” museum curators approach their work. In What Does it Mean to be “Museum-Worthy?” How a Political History Curator Defines the Term, Larry Bird, curator of the campaign collection in the division of political history at the National Museum of American History, shares his thoughts in an interview. There are things that the campaign gives out that are sort of “officially sanctioned,” that they are using to get their message out, like a button. And then there are things that people make and wear themselves. Typically, I like to try to get something from a person who’s wearing something—it could be a lapel pin, a sign they made or a sign they’re carrying. It’s very difficult to talk that item off of a person and in fact, it’s almost not even fair because if they could just give it to you, would you want it? What you want is what they can’t give you. It means so much to them personally. That’s what you want to collect. You want to collect the material of activism and engagement. “Museum worthy” implies that there’s some kind of aesthetic judgment going on, which there may be, but that’s hardly the first thing that you think of. The material that we get is so inherently ephemeral; it doesn’t really have any great inherent value. The items can be quite modest and even flawed—they can have rough edges and corners and be duct-taped to a paint paddle or something. I mean for a couple of bucks you can pick up a couple of buttons, but when you get it all together at the end of the year, it really is quite valuable as a record because it doesn’t exist anywhere else. Along with the reassurance that even professional collecting is subjective (which I admit I still need like to hear), I’m thrilled to hear that curators — at this level, even — are seeking to cultivate a contextual collection based on the rather intimate items of individuals. Is that any different than what we do? They even want the stuff more when it’s hard to get, when people are less likely to give/sell! We can argue, or, more accurately, belittle the importance of our collections. We can say we “just” have silly little pieces. We can say we don’t have anything of any real significance. But at the end of the day, we are doing the same thing the museum is doing: collecting a segment, preserving a set of objects (maybe even using home security systems like www.safemart.com), which when put together are a record or a snapshot of what was. In related news, Scientists hope to unlock secrets of museum smells, hoping to see if the smell or, more accurately, the air surrounding the objects contains anything that could be used to understand their composition or condition; museums and collectors could then use such technology to assess collections without touching the objects. 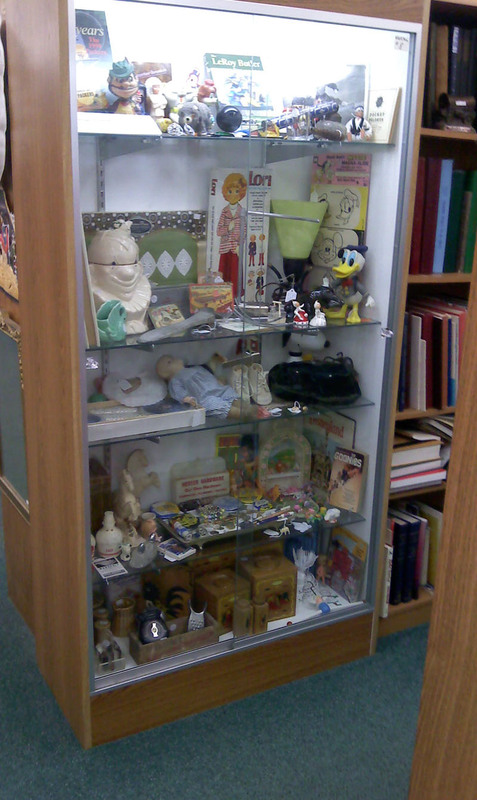 Image: Photo of my own case in an antique mall. Posted on May 18, 2011 February 8, 2017 Author DeannaCategories The Hobby Of CollectingTags collectibles, collecting, curating, hobbies, museums, political collectibles2 Comments on Is Your Collection Museum Worthy?